Product prices and availability are accurate as of 2019-04-10 19:49:39 UTC and are subject to change. Any price and availability information displayed on http://www.amazon.com/ at the time of purchase will apply to the purchase of this product. Clearance Magic Bumpers have slight imperfections that do not affect the performance of the product. These are not used, but have arrived from the factory with some form of cosmetic defect. Most imperfections involve yellowing of foam. Some may be marks or smudges on the foam or small pieces of foam missing. 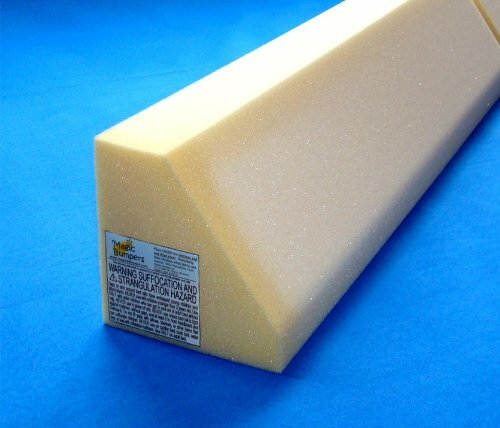 Magic Bumpers are firm polyurethane foam wedges designed to go under all the bedding as a safer and easier alternative to traditional bed rails. The foam has a non-slip surface that stays put when placed directly on the mattress and under all bedding including the mattress pad. 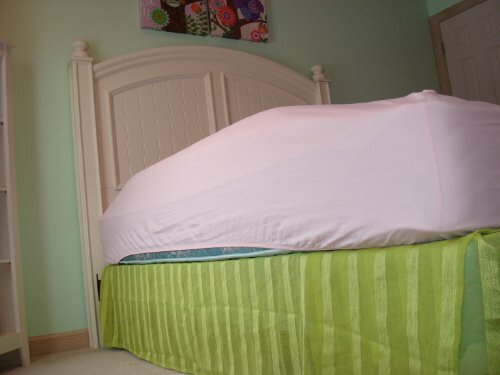 The bumpers help to transition your child to a standard bed and are great for travel. 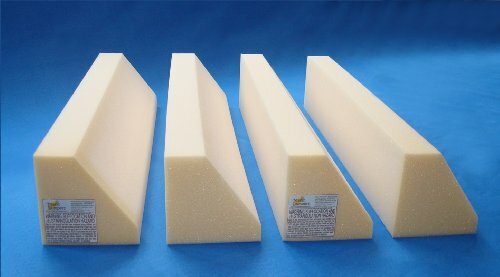 This set contains 4 foam wedges each 5 inches wide and 5 inches high and 24 inches long. 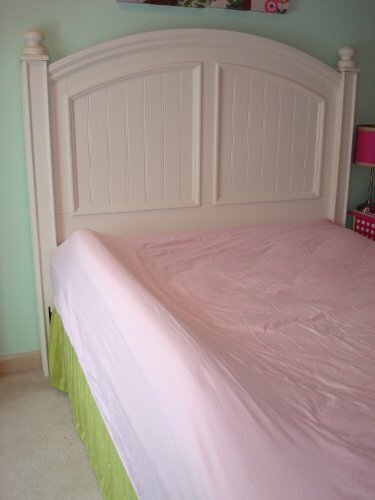 They are designed to be placed in pairs along both sides of a bed to make two 48 inch edge barriers. In accordance with US Federal Law, this product has passed testing for ASTM - F2085-12 Portable Bed Rails, complies with CAL 117-2013 and is PBDE, Lead and Phthalate free. This product does not contain fire-retardant due to the new specifications of CAL 117-2013. Click on the magicbumpers link to go to our Amazon store. In order to conserve earth resources, we use minimal packaging. 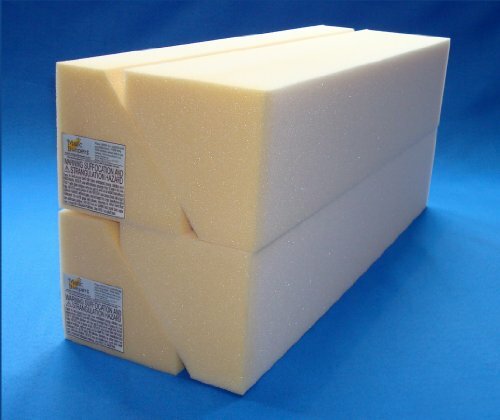 Your order destination, quantity, and shipping service may require your foam to be vacuum-packed requiring up to 72 hours to regain shape. Ships via US POSTAL SERVICE. 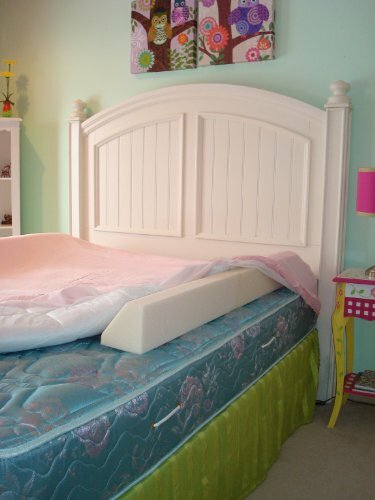 Four pieces: 5 inches high, 5 inches wide and 24 inches long Secure and Stable - the non-slip surface of the foam keeps it in place Child Friendly - there is no entrapment space between the bed and bumper Easy Storage and Travel - foam bumper set weighs 2 lbs. Please read entire Product Description found below.